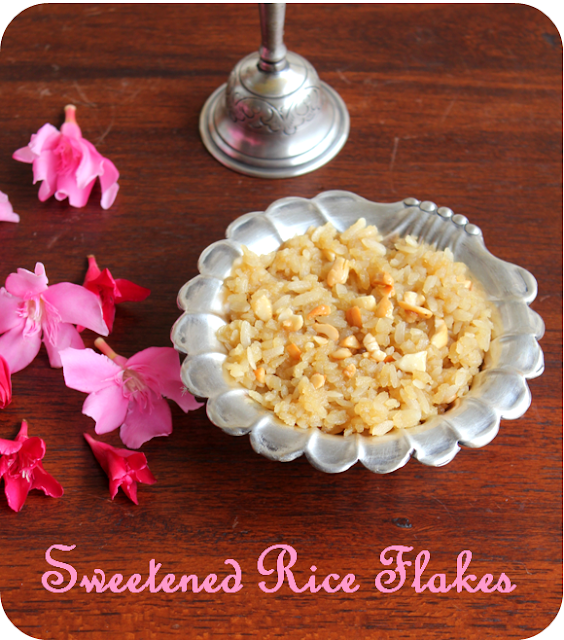 1.Wash the rice flakes in running water and keep aside(it becomes soft). 2.Dissolve the jaggery in 1/4 cup of hot water and filter it for impurities. 3.Boil the jaggery water till it becomes thick(double string consistency). 4.Cool it add it to the washed and squeezed(without any water) flakes. 5.Add cardamom powder,edible camphor and scraped coconut. 6.Fry the broken cashew nuts in ghee and add finally and mix well. 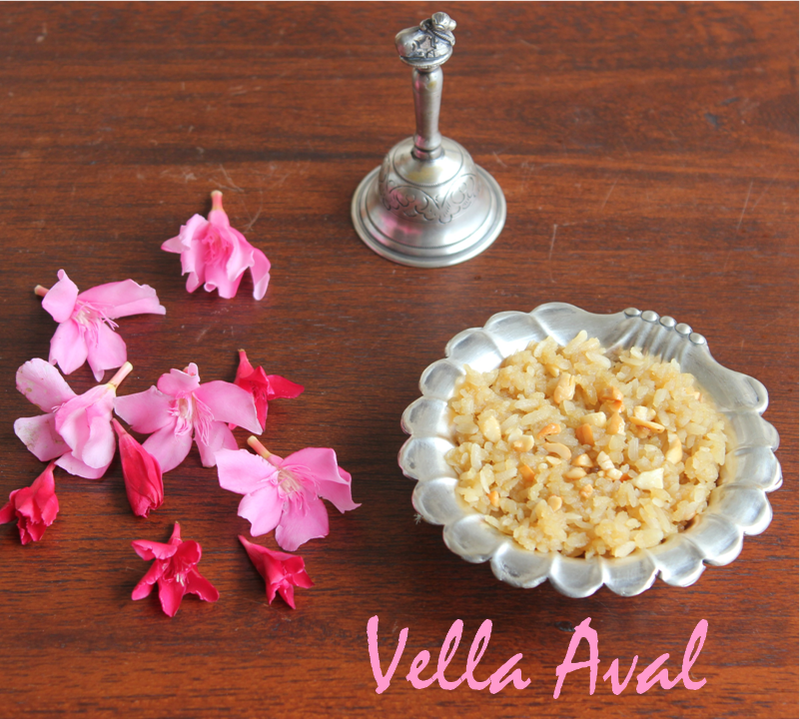 Make sure the aval(rice flakes)do not stick to each other. The jaggery syrup has to be really thick. 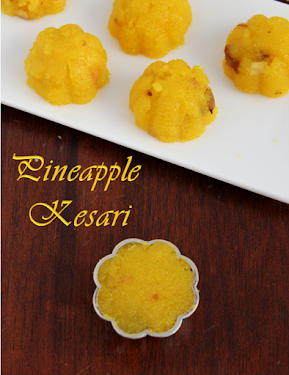 You can add fried raisins along with the cashew nuts. It is a quick and easy neivedhyam for god. And it is a food on fasting days. U may elaborate on double sting consistency in a coommon man term. Very useful and simple recipe! Thank you so much.